Having beautiful, majestic trees on your property adds a great deal to the ambiance and atmosphere to your property. You may want to spend more time outdoors just so you can enjoy all the trees bring to your property. As much as the trees can be an asset to you when they are healthy when something happens to one of those large trees, and they are damaged, they can be an imposing threat to you. Often removal is the only answer to take care of the problem, and having access to the right equipment can make easy tree removal in Woodland Hills much easier and safer for you. Tree removal of large trees requires a special approach and special methods. The average homeowner may not have the understanding of the trees that is necessary to know what the proper way is to take down a large tree without causing any extraneous damage. There may be the need for special cables, pulleys, and blocks to bring the areas of the tree that need removal first to make the procedure as safe as possible. 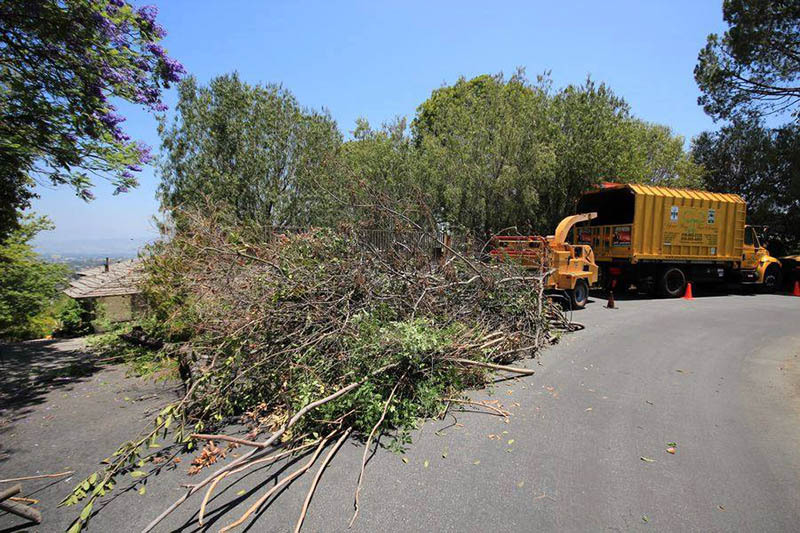 Often when there is a need for tree removal in Woodland Hills, the safest way to remove the tree is with the use of cranes and special trucks designed for this use. Our company, Your Way Tree Service, Inc., has the equipment at the ready to bring on-site to your home so that we can approach the tree removal you need the correct way. Our experts can use the trucks, tools, and technology we have at our disposal to take your tree down without any damages occurring. 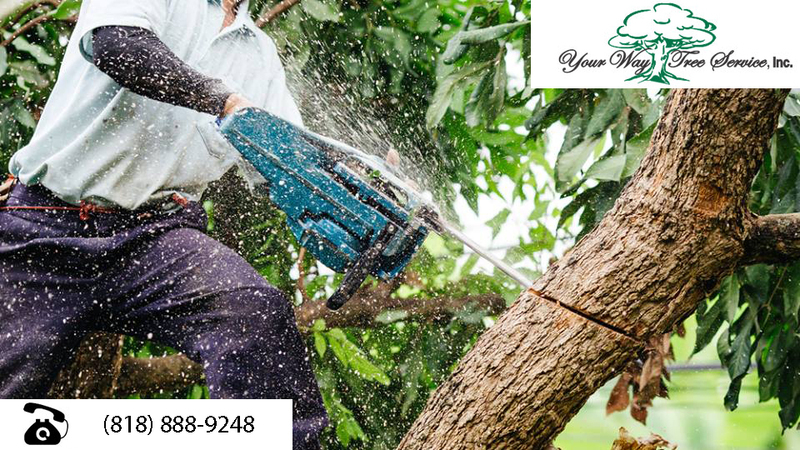 If you think you may need help with tree removal in Woodland Hills, or you have any questions you would like to ask, do not hesitate to contact us at Your Way Tree Service, Inc. You can contact us either through the contact form here on our website or by phoning our office at 818-888-9248. You can speak about your trees, and we can come and evaluate your trees for you and give you a free estimate for the work needed. Let the professionals use the right equipment to remove your trees and leave your landscape looking its best again.